Pair of double spring canes are useful for those who want to improve their handstand and try something new in training system. These spring canes help you to improve your handbalancing, increase flexibility and strength of wrists. 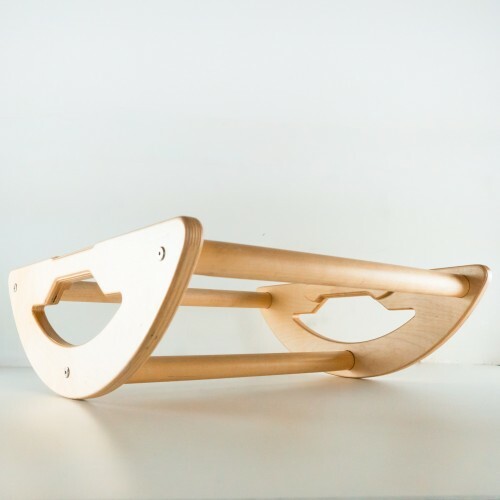 Easy to assemble and dissamble make it functional tool. You can use with one spring in different grooves to change the burden. 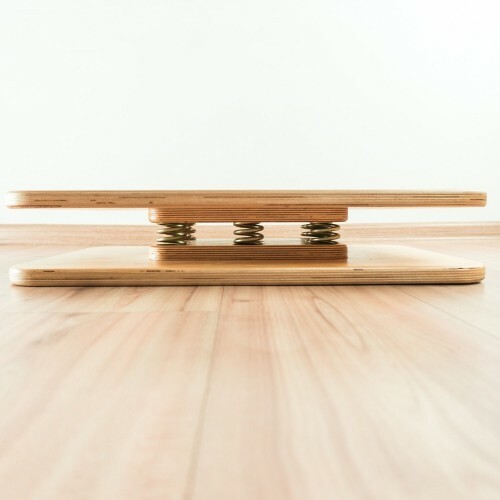 Springs are placed in a wooden bases deep enough (4 cm) to avoid any iron and glue fastern. 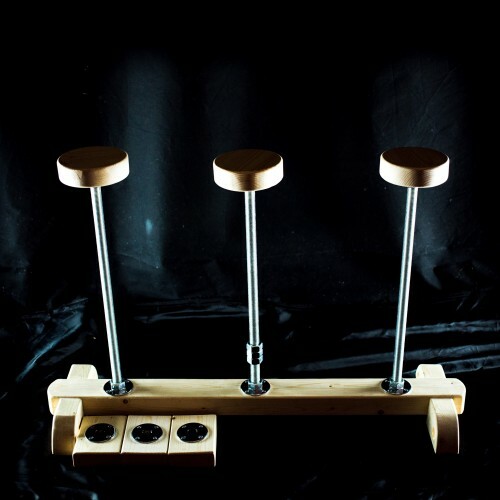 Polished in 3 steps handstand cubes are placed on the springs with the same technology. It makes it easy to assemble and dissamble in a few seconds. Asimmetric grooves make the connection safe, so if you replace the point of equilibrium on one spring, the other will be on its place.